Organizers of the two national beauty contests, Miss Vietnam 2010 and Miss Vietnam Global 2010, both scheduled for August, are competing intensely to attract contestants. Observers and insiders do not understand the rapid-fire licensing of pageants with coinciding timeframes. The People’s Committee of the northern province of Quang Ninh and Tien Phong Newspaper jointly organize the 2010 Miss Vietnam Pageant at Tuan Chau resort in Ha Long bay, the UNESCO World Heritage site, from August 3-15. 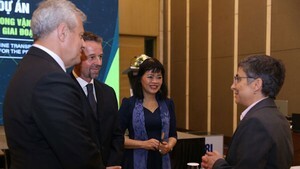 Meanwhile, Vietnam Television (VTV) and Vinpearl Land Tourism Joint Stock Company at Vinpearl Land Resort and Spa will hold Miss Vietnam Global 2010 from August 10 to 21 in the coastal city of Nha Trang in the southern central province of Khanh Hoa. 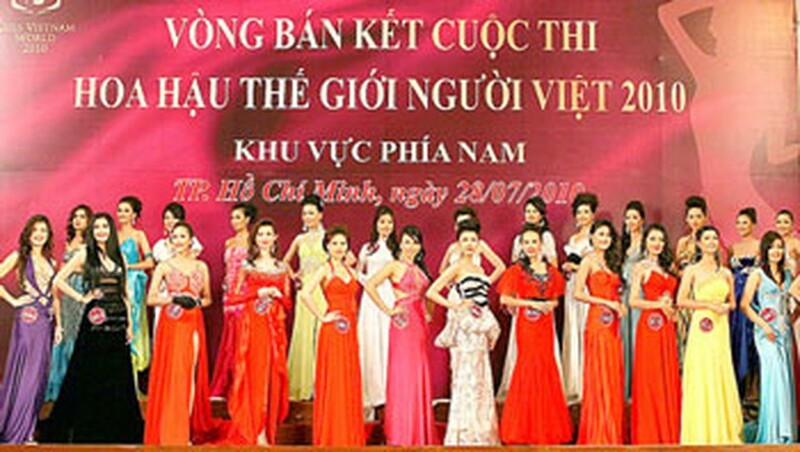 The two pageants offer a cash prize of VND500 million (US$25,000) for contest winners. Organizers of the Miss Vietnam Global 2010 pageant announced the winner will receive a crown inlaid with gemstones worth VND1 billion (more than US$50,000) that she will be allowed to keep forever, together with many valuable gifts. Contestants of this contest’s final round will receive VND10 million, receive free flights to Nha Trang and stay free at Vinperland resort during the competition. The quality of contestants of the two pageants has contributed in affirming the level of every competition. Miss Vietnam 2010 is open to all Vietnamese young women in the country, while Miss Vietnam Global 2010 attracts Vietnamese contestants living at home and abroad. Miss Vietnam Global 2010 will be aired on VTV3 and VTV4 channels. Miss Vietnam 2010 will be broadcast on VTC and more than 30 local channels nationwide. Most of top modeling agencies bring their models to beauty contests and their managers tend to be invited to be jury members of Miss Vietnam Global 2010, potentially disadvantaging for other contestants. The public does not know why the biggest beauty contests have been concurrently scheduled, making Vietnamese contestants unavailable for the 2010 Miss Universe Pageant, which will also take place this August in the U.S.